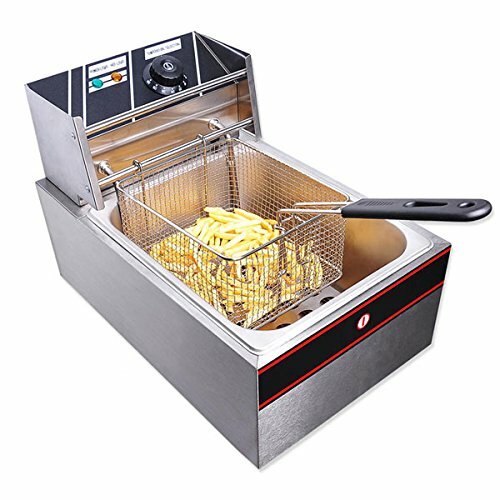 This 6L 2500W Electric Single Tank Stainless Steel Deep Fryer is suitable fot both commercial and home use. It is great for frying buffalo wings, chicken, dumplings, egg rolls, shrimp rolls, mozzarella sticks, jalapeno poppers, or anything else that gets deep fried. Tank Dimensions: 12-3/4" x 10-1/2" x 5-3/4"